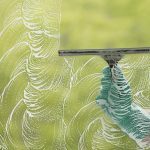 In the Chicago window cleaning business, we often have an opportunity to work with homeowners who are in the process of selling their homes. That’s because many area realtors recommend sparkling windows as a way to sell homes. It makes sense! 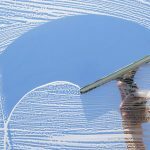 According to a survey published by Money Magazine in 2003, the cost of clean windows pays off better than any other presale improvement. The realtors surveyed estimated that the ROI for window cleaning was 768%, which is pretty hard to beat. But what is it about something as basic as clean windows that attracts buyers? Some people look for these details, and others perceive them only subliminally. However, realtors say that curb appeal and cleanliness affect both time on the market and home sale prices. In fact, according to the National Association of Realtors, curb appeal sells 49% of all houses.